It's been a busy month for new Micro Four Thirds product, with the Olympus OM-D E-M1X having just being revealed, but we're already getting leaks for Olympus' next raft of new kit – this time, a 12-200mm high magnification zoom lens. The new lens, which was leaked by 4/3 Rumors, is the first blank that's been filled on Olympus' recently revealed roadmap – which also includes the M.Zuiko 150-400mm f/4.5 TC1.25x IS Pro. The M.Zuiko 12-200mm f/3.5-6.3 (a 24-400mm full-frame equivalent) looks to be an improvement on and a replacement for the old M.Zuiko 14-150mm f/4.0-5.6 lens – a highly versatile all-purpose travel optic. Like its older brother it is dust-, splash- and freeze-proof, but it benefits from Olympus' MSC (Movie & Still Compatible) focus mechanism for smooth, quiet autofocusing. 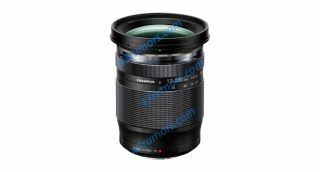 It has a focus distance of 22cm (half that of the older lens) and weighs 455g (over its predecessor's 285g). The rumor site claims that the new lens will be available in late March, giving the late-February release of the Olympus OM-D E-M1X room to breathe, and will cost €899.